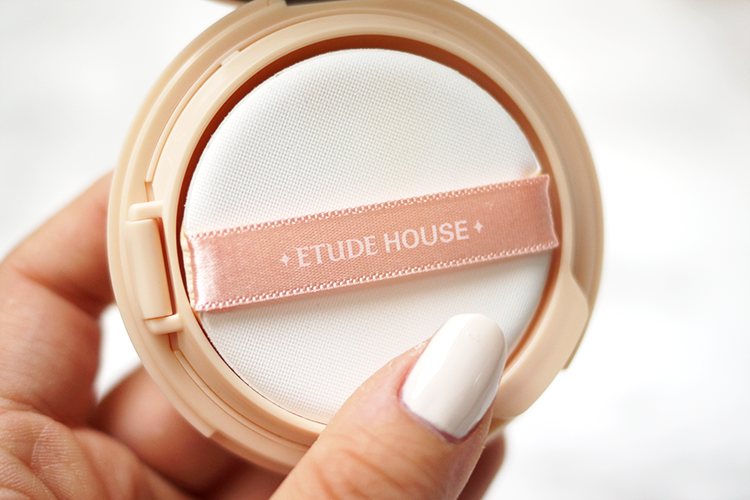 ETUDE HOUSE REAL POWDER CUSHION, REVIEW + SWATCHES. 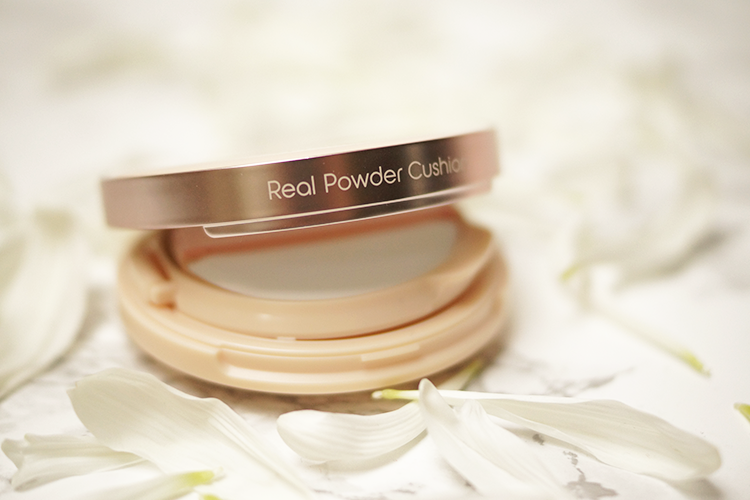 So today I wanted to share with you my thoughts on the brand new Real Powder cushion foundation from Etude House. This isn't a cushion like you will have seen before. 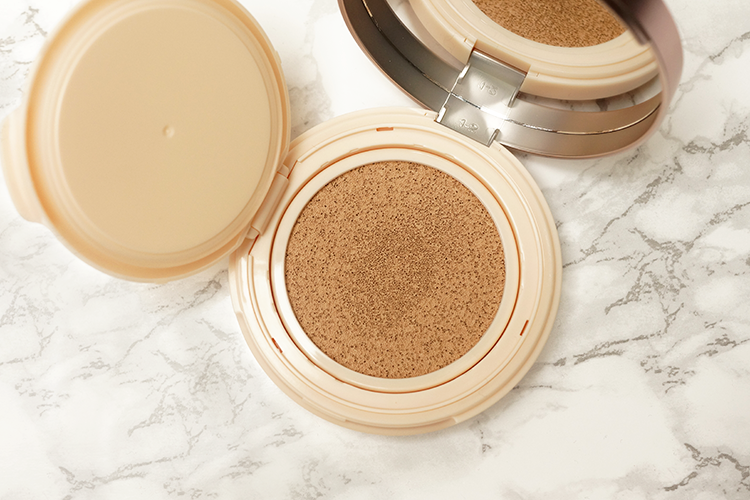 99% of cushion foundations aren't brilliant for oily skins, as they give somewhere between a dewy and super dewy finish. The Real Powder is different in this sense, in that the formula is liquid in the cushion but sets to a powder finish on the skin. Let's start with the packaging. A cream-come-peach coloured compact with rose gold detailing, I really love the colour choices they've made. It's actually very slim, unlike any of the other cushions I've tried - you can see it here next to the Amore Pacific packaging. On the inside, you get your air puff and the inner lid properly clicks shut to keep the contents fresh, which you don't always see, so I appreciate that. Onto the product itself. Shade 2, Natural Beige, seems the teeniest bit too dark/warm for me when swatched but it's in fact a pretty good match. Dipping into the cushion (with clean hands might I add! ), it's immediately obvious that the liquid is a much thicker texture than other cushion foundations. Next to my Hera cushion, you can see the product is a lot more viscous and dry. 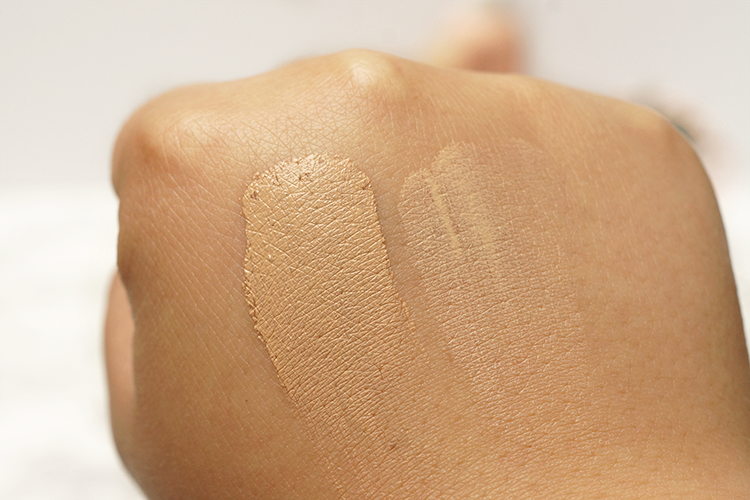 And then swatching it, you can see it's definitely heavier and gives more coverage. 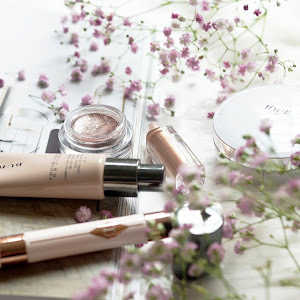 On the skin, it takes a little work to blend out - you can't really dab all over the face then blend in later, it's best to work in small areas and blend as you go. 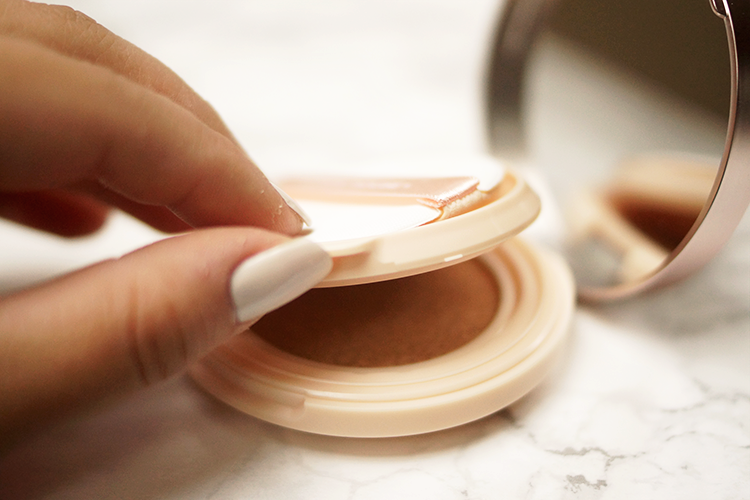 To me this feels exactly like those old-style mousse foundation I used to wear back in the day, it's got that thicker, mousse-y texture as you apply that blends out to a powder finish. 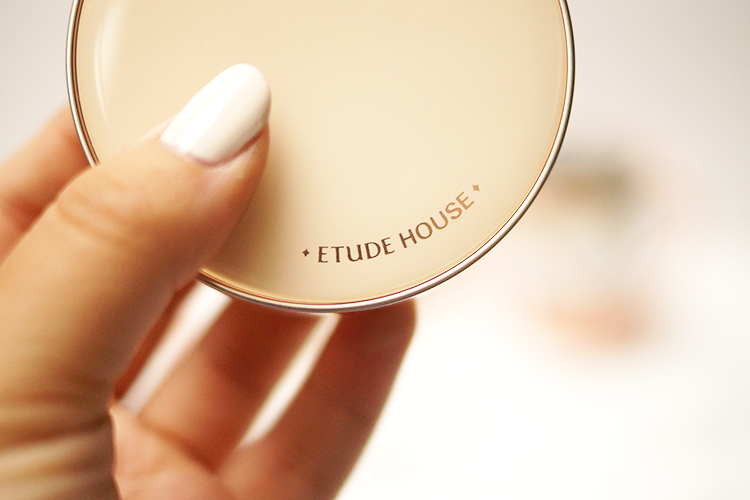 The coverage is definitely a medium-to-full, and it's buildable to cover any areas of concern. So a full face done. I'm going sans primer, any hydrating product or powder to give it a proper test. First impressions is that it doesn't actually look as matte as I thought, there's still a little sheen on my skin, especially on my cheekbones, and I can see it sitting on my skin at this point - not very impressed. Also, immediately, I see it settling into the fine lines under my eyes - granted that's a trouble-area for me but the powder cushion isn't as hydrating and plumping as most of my other cushions, and it does feel a lot more heavy than what I'm used to (legitmately weightless). But stay with me, let's see how this fares after some hours..
After just over 5 and a half hours of wear, I have to say the cushion is growing on me. I can decidedly say that this wouldn't be good for really dry skins, I can definitely see it settling under my eyes and around my nose (although it didn't settle into my pores), but it's not marketed for those with dry skin so I'm not too upset. One thing I am really impressed with is it's oil control. After around an hour, the product melded in with my skin's natural oils and looked a lot more natural - although still offering that medium-full coverage. As the hours passed, it seemed to soak up any excess oil/sweat (it's been a hot day - gross) on my face so that by the end of the day, I still look at least demi-matte. I tried this another time with my Hylamide Sub Q and HA Booster, followed by my favourite primer from Etude House, and much preferred how the cushion sat on my skin this time - I think being diligent with moisturising and priming really pays off with this one. 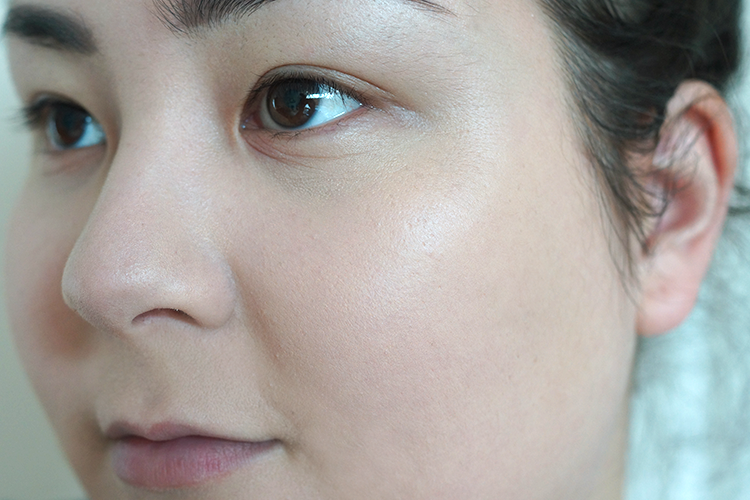 I also went in with a really light layer, not building up on any areas, and avoided my undereyes completely, which I think made it fare so much better. Overall, this isn't going to be for everyone - it's not a universal all-round pleaser like the IOPE one say (review here for you). 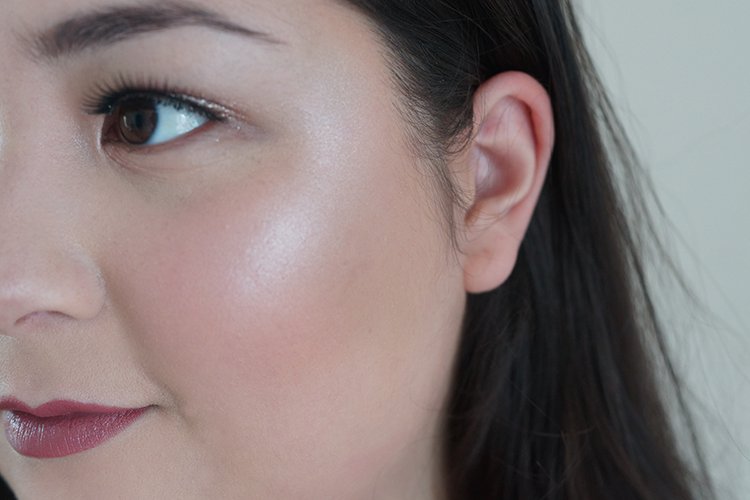 I think if you have oily skin, this is going to be a great option if you're after a cushion foundation, especially as you don't need to set it with powder. For those of us with combo skins, or even if you have slightly dry skin, I actually think this is great for hot days/climates, travelling or any scenario where your skin produces more oil or sweat, as the powder melds with that, leaving you with a demi-matte/skin-like but secure finish, so I've got to give it a thumbs up! 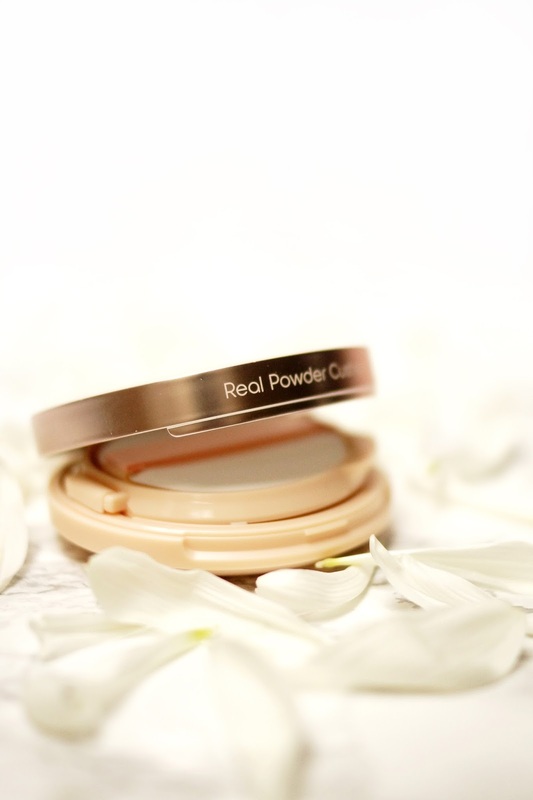 The Real Powder cushion is available in 3 shades, Light Beige, Natural Beige and Honey Beige and you can pick it up here. 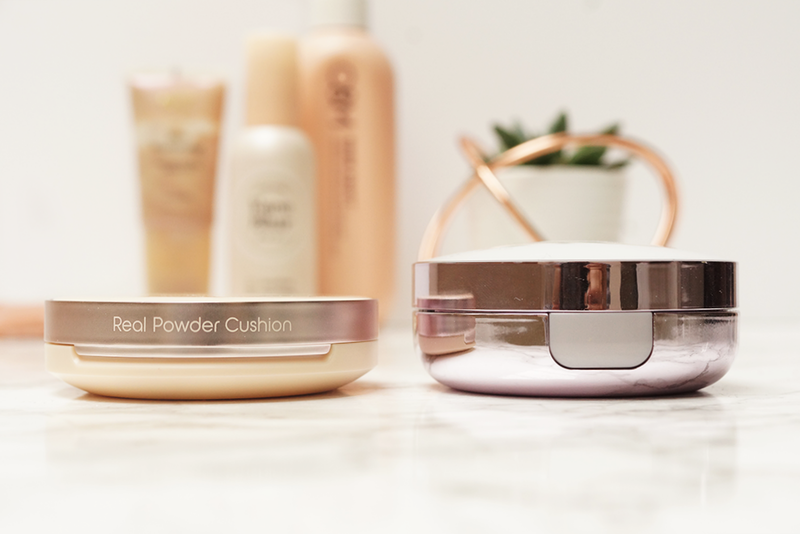 P.S If you have dry to combo skins, have you seen my Hera cushion review? SO beautiful. I really have to get on the cushion foundation wagon. I don't know why I haven't yet! 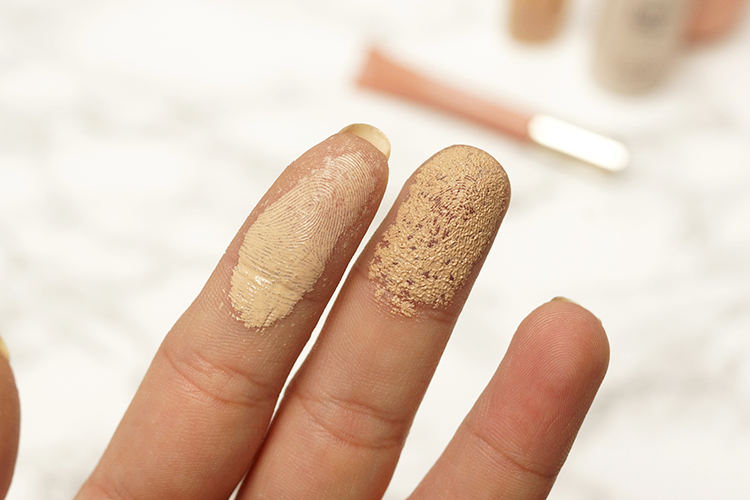 After setting, this foundation looks beautiful on the skin and good to know that it controls the natural oil and doesn't make your skin shiny. This cushion seems the answer to every oily skin babies prayer. I heard The Face Shop oil control water cushion is good too, but it has a semi dewy finish.